Provide a solution to enable hearing impaired as well as blind and visually impaired people to enjoy barrier-free participation in cultural events in the theater. Sennheiser MobileConnect was the recommended system. It is a completely flexible, easy-to-install system for assistive listening over Wifi. The users just have to install the MobileConnect App which offers an intuitive control for hearing impaired to enjoy live or recorded audio streaming over a Wifi network. 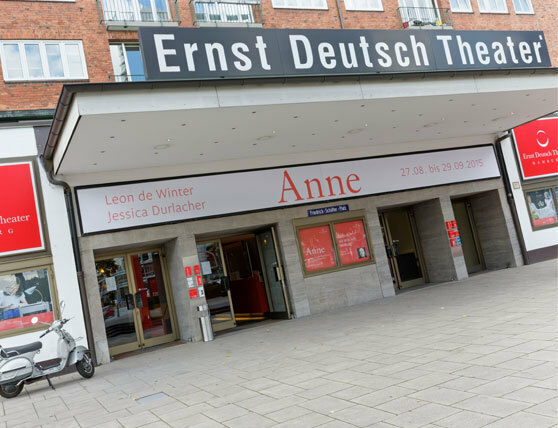 In August 2015, the Ernst Deutsch Theater was fitted with a Sennheiser MobileConnect system for audio description and assisted listening. This new feature means the venue is the first German theater to provide a vital added benefit for people with impaired hearing and vision and promote participation in cultural life with more commitment than ever before thanks to Sennheiser MobileConnect. Profile The Ernst Deutsch Theater is a theatre in Hamburg, Germany. The former cinema is the largest privately owned theatre in Germany with 744 seats. The monophone DSP matrix output signal in the Ernst Deutsch Theater is fed into a Sennheiser ConnectStation located in the great hall control room alongside other 19" equipment – where people can then listen in via Neumann KH 120 A near-field speakers. The ConnectStation takes over the management of up to 50 streaming clients in real time (the latency time is around 80 milliseconds) and is connected to two access points in the Ernst Deutsch Theater that distribute the signal to the stalls and circle via a wireless network. The number of channels are established by a frequency scan. The WiFi required to operate the system can be set up without logging in and with no extra costs. 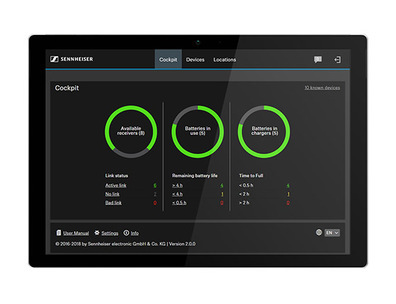 The installation of Sennheiser MobileConnect and the functional tests involved take just a couple of hours to complete if there is already an in-house monitoring system. System updates are performed via the network. Depending on the performance, the Sennheiser MobileConnect system in the Ernst Deutsch Theater provides hearing assistance and/or an audio description. The latter is a spoken description of what is happening onscreen, which helps blind or visually impaired guests to follow the plot. The piece’s content is professionally prepared for this purpose in advance in a process involving at least one person with impaired vision – the team works together to find the most suitable verbal descriptions. The audio information for assisted hearing is provided through Sennheiser shotgun microphones distributed around the hall of the Ernst Deutsch Theater: If you look closely to the left and right of the gantry and on the left and right side walls, you can see the microphones. Two further directional tubes are fitted in the center of the circle. There were already four microphones in house; two Sennheiser MKH 8060 microphones were added while installing the MobileConnect. Currently, the miking system is designed so that all performances held in the multi-purpose venue can be reproduced in the best possible quality without requiring show-specific adjustments – all the action on stage is perfectly captured, from speech to complex musical performances. Even reactions from the audience are vividly transmitted thanks to the effective distribution of the microphones, which allows guests with closed headphones or hearing aids (such as Cochlea implants) to be acoustically embedded in the center of the event. The output signals from the Sennheiser shotgun microphones are processed in a DSP matrix equipped with pre-amplifiers and combined into one mono signal. The matrix does not specially emphasize frequencies that are relevant for speech intelligibility because guests with impaired hearing can choose the settings that are most suitable for them individually from the user interface of the MobileConnect app. The intuitive “Personal Hearing Assistant” touch interface developed in cooperation with the Fraunhofer Institute is provided for this purpose. The system uses powerful algorithms to dynamically reproduce the speech information in a way that suits the user's hearing ability and taste while reducing disruptive background noise. It is easy to operate thanks to the contrast-rich and attractively designed screen display and immediately accessible for users who do not have a background in audio technology. Theater guests can watch the event using their own smartphones (the new buzzword: BYOD – bring your own device) without queuing at a service desk or relying on assistance from theater personnel. Another perceived benefit is that induction loops that hang prominently around the neck, which are sometimes considered indiscreet by other guests, are dispensed with. From the perspective of the theater operator, BYOD provides a cost benefit because personnel do not have to issue devices. There is no need to purchase, clean or maintain the technical equipment. 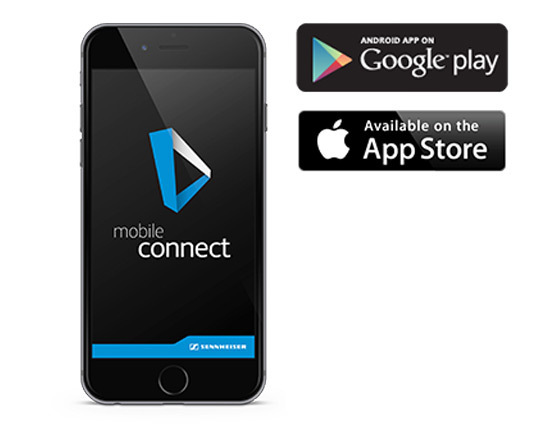 Sennheiser MobileConnect supports the Android and iOS operating systems. Sound technician Alexander Behrens reports that the new system does not create any additional work for him in its daily operation – Sennheiser MobileConnect simply has to be switched on when the doors open. Under the guidance of artistic director Isabella Vértes-Schütter, the Ernst Deutsch Theater is greatly engaged with the issue of hearing assistance, and special performances have been accompanied by sign language interpreters for many years now. For people with restricted hearing, the Pegasus Award-winning theater is the best location for experiencing culture without restriction in Hamburg. “It is not rare for guests to highlight the special care given to their hearing impairments in the Ernst Deutsch Theater when extending their subscription,” says Alexander Behrens. It is a common issue that people stop visiting the theater if they start experiencing hearing difficulties because they can no longer understand the texts clearly.